eXert SCM is an advanced system software to manage the flow of goods. It includes the movement and storage of raw materials, work-in-process inventory and finished goods from point of origin to point of consumption. Interconnected or interlinked networks, channels and node businesses are involved in the provision of products and services required by end user/customers in a supply chain. eXert defines supply chain management as designing, planning, executing, controlling, and monitoring of supply chain activities with the objective of creating a net value, building a competitive IT infrastructure, leveraging worldwide logistics, synchronizing supply with demand and measuring performance globally in term of multi-location/region management..
eXert SCM is a nodal point for collaboration of all the key players in the supply chain. 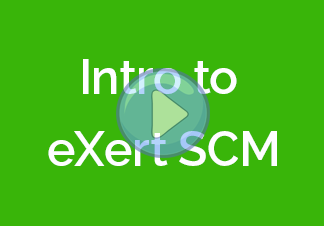 eXert SCM is an advanced and reliable system software that imbibes all the sophistication required to process and control the movement and delivery of product and services. eXert SCM is capable of integration with devices on the fly to record and monitor multiple warehouse in a complex business environment. eXert SCM makes a business case study for their respective clients and builds a process based operational flow of data to chart a reporting plan in terms of complexity and nature of the domain to which SCM is required. 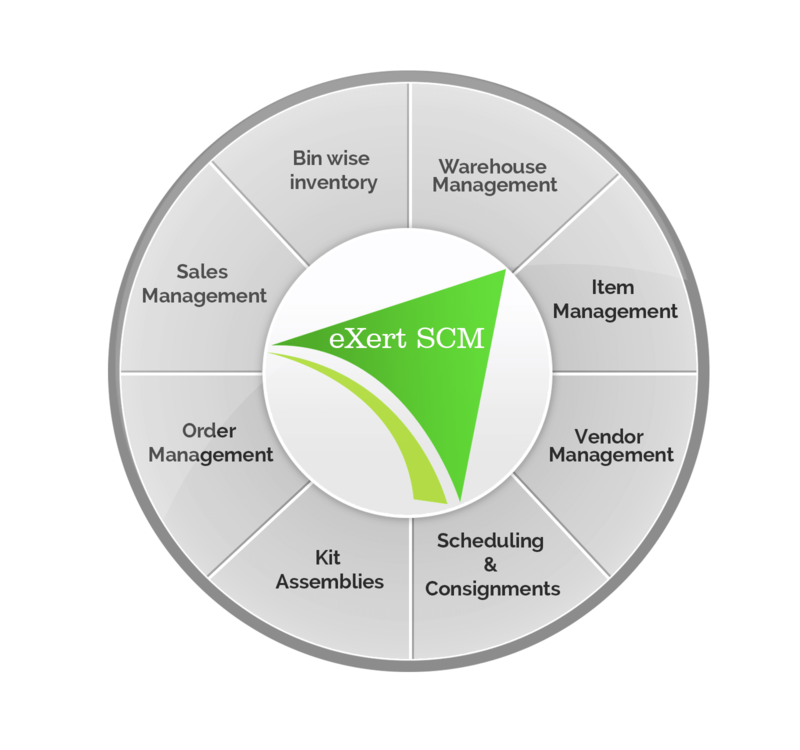 eXert SCM is a ready to use application integrated with financial management and inventory management. eXert SCM is capable of managing huge data processing on the go with a critical approach.. It sources, plans and executes operations. eXert SCM increases the productivity of supply chain, eXert SCM includes cross-functional programs. It manages raw material movements, internal processing and finished goods of an organization, making eXert SCM an advanced system software. Usage of eXert SCM decreases overhead, increases core business value. Managerial control over the logistics is reduced resulting in customer satisfaction. As organizations strive to focus on core competencies and becoming more flexible, they reduce their ownership of raw materials sources and distribution channels. These functions are increasingly being outsourced to other firms that can perform the activities better or more cost effectively and this is where we take the onus and provide a simple to cater solutions and control outsourced work orders..